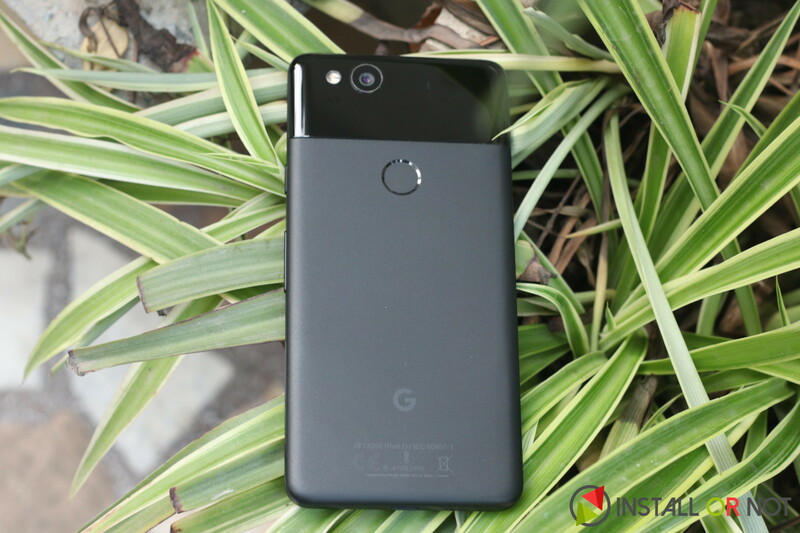 Google launched an iteration of their Pixel smartphone lineup this year in October known as Pixel 2 & Pixel 2 XL. The handsets bring an overall improvement to the Android smartphone experience and yet again come with the best camera on a smartphone, hands down. I have been using the Pixel 2 regularly for two weeks now and I believe it is a great smartphone that totally works for me in 2017. Considering all imperfection reports which have been around for Pixel 2 & Pixel 2 XL highlighting its issues, I can still vouch for it. Why? Let’s discuss it more below. Pixel Experience is a Treat! Using a Google Pixel 2 has been an experience for me personally. The fluid Android workflow on this smartphone is phenomenal. To be honest, I have been a ‘fan’ of Oxygen OS on OnePlus smartphones and will continue to do so but there is something about this pure Android which closely bundles with Google services. I anyway use Google apps a lot, (even on my iPhone) and it was nice to not have any duplicates pre-installed which I know will never be used. Android 8.0 and now running the Developer Preview 2 for Android 8.1, everything has been running perfectly fine for me. There was a few occasional launcher crashes for Google Now feed on swiping extreme left once in while but nothing major. Google’s latest additions with 8.0 over the operating system make it an absolute pleasure. ‘Now Playing’ feature is not enabled by default but once we have that, it delivers its promises. It’s the little exclusive enhancements on Google smartphones which make it a treat. I never thought that I’ll appreciate the small size of this handset. Initially, when I started using it coming from iPhone 7 Plus and OnePlus 3T it felt too small. Typing was a nightmare, I was so accustomed to using a smartphone with two hands that it felt weird covering that small display with a thumb across. But slowly adapting, it’s been nice to use a smartphone single-handedly. The top and bottom bezels will still look ugly covering a lot of front estate but the dual front-facing speakers compensate for it. Those stereo speakers are really good. In fact, I have stopped listening to music these days on my Bluetooth speaker only because of that audio quality. The battery has been an absolute magic on the Pixel 2 and I always wonder what Pixel 2 XL would do for me. Android is immensely optimized for Pixel 2 to offer roughly 4h of Screen on Time on 2700mAh battery. That is a lot with my kind of heavy usage. I’m always on LTE, checking my social media applications, reading and writing stories, clicking pictures occasionally to test that fantastic camera and that battery fails to die until the end of a day. At times, I even have it covered till the next morning when I am using OnePlus 5T alongside. The camera is incredible in Pixel 2 & Pixel 2 XL. Since both of them have the same camera sensors with same software running across the operating system they are practically running an identical setup, both on the front and rear. It is very hard to ruin a picture from the Pixel 2. It’s so easy to capture an amazing shot that you just have to look for a perfect frame and leave rest to Pixel 2’s computational photography. Google has done a terrific job with their research to deliver a product which is near-flawless. It has the best portrait captures, thanks to that amazing machine learning algorithm at the backend and intensive training to overcome the cold start. There are a lot of tech jargons which I want to express, but I will leave that for a separate post with more focus on the technology behind that camera. With a great dynamic range and bright colours, the software never fails to surprise us with the results. 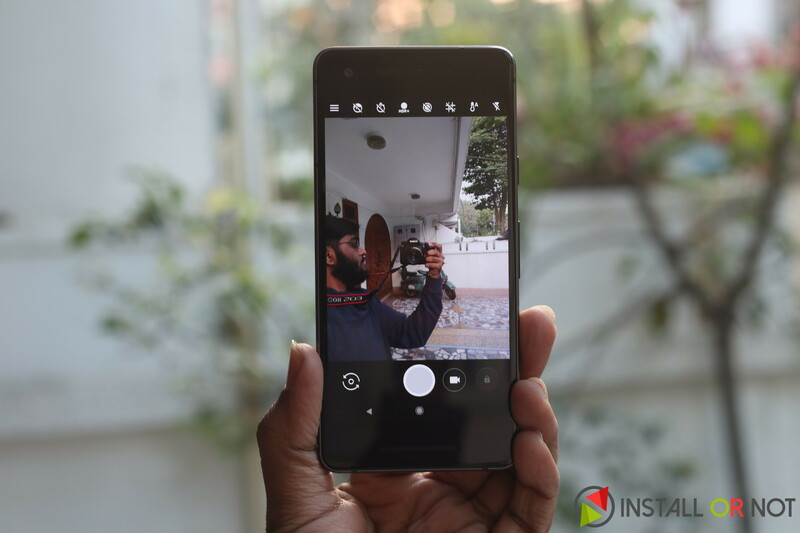 Google in the latest Developer Preview has allowed Pixel’s Visual Core co-processor which brings these software enhancements to all apps using the camera hardware. Pro users might look for more comprehensive settings including a manual mode but unfortunately, Google didn’t pack it into the camera app. It also doesn’t have a timelapse mode but now with Visual Core enabled, you can install a third-party camera app and enjoy the same results throughout very soon. We can’t hide those Cons! With a whole lot of pros on its side, Pixel 2 still has a fair share of cons tagged along. Starting with the first, I really missed the headphone jack. I know this is the reality and wireless gonna be the future but I still miss it. Pixel 2 comes with a headphone adapter but I’m not ready for the dongle life yet, not on my laptop and certainly not yet on my smartphone. USB-C is great, but there aren’t any good USB-C headphones out there and those which are available do not come for cheap. Secondly, Pixel 2 is not a ‘looker’. Though I totally like the simple minimal design of the Pixel 2 and Pixel 2 XL and there might be people like me with the same viewpoint but this can’t change the fact that Pixel 2 will not lock glances especially when you compare it with Samsung Galaxy S8 and HTC U11. I guess ‘Kinda Blue’ colour variant has the most attractive physical appeal but the rest just look plain generic. 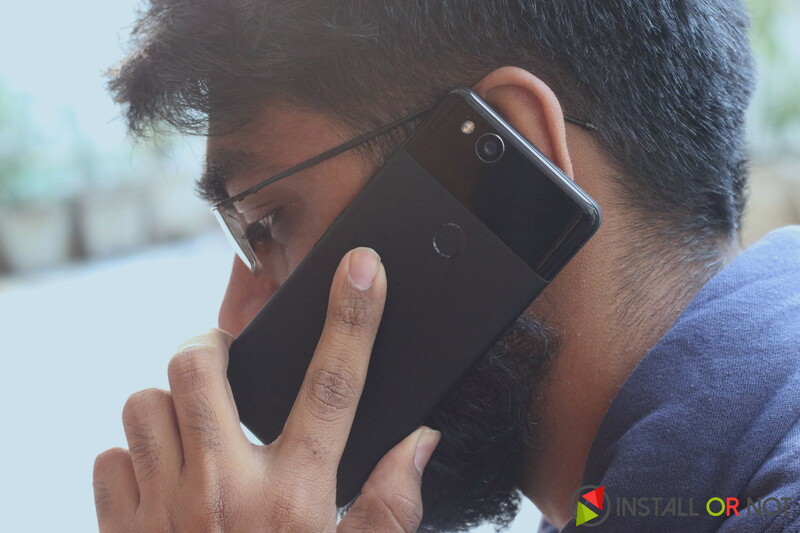 ION Verdict : Is Pixel 2 the best Android smartphone? I can any day stand by my words and state Pixel 2 as one of the best overall Android experiences ever. I really like how Google services are seamlessly integrated with not all but most features used by people on Android. Pixel 2’s small design makes it a perfect smartphone for those who wish to use it one-handed rather than struggling to reach the top corner of the display. The camera is a unique selling point for both Pixel 2 and Pixel 2 XL which can make even non-photographers capture brilliant clicks. 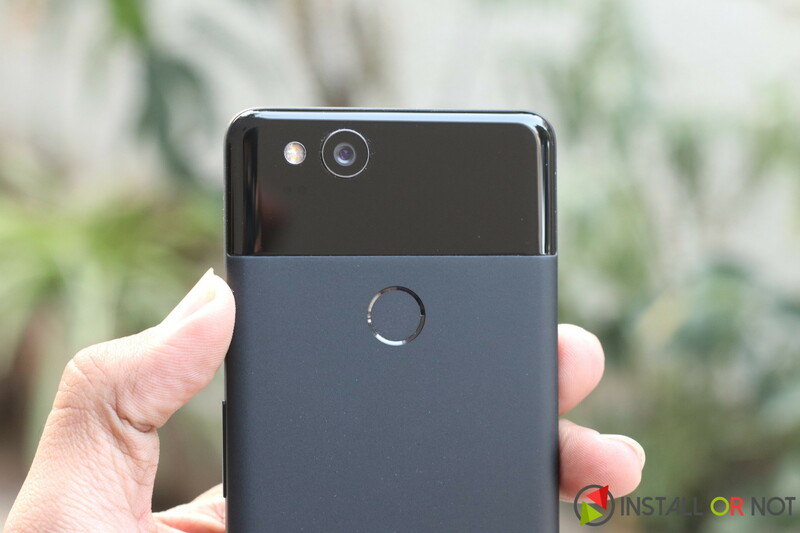 Coming down to its price, starting from ₹61,000 for 64GB Pixel 2 and ₹73,000 for 64GB Pixel 2 XL these smartphones are pretty expensive. With all the goodies and tech involved Google has priced it for a premium tag. Just to state the fact that technology behind this involves a lot of research and that comes at a cost, which is why Google is asking for its ‘fair share’. After all, they are too running a business at the end. I believe maybe its value proposition talks would end with a drop of 10k on its price tag, maybe. The best smartphone from Google and I’m sure no one will be disappointed owning it.